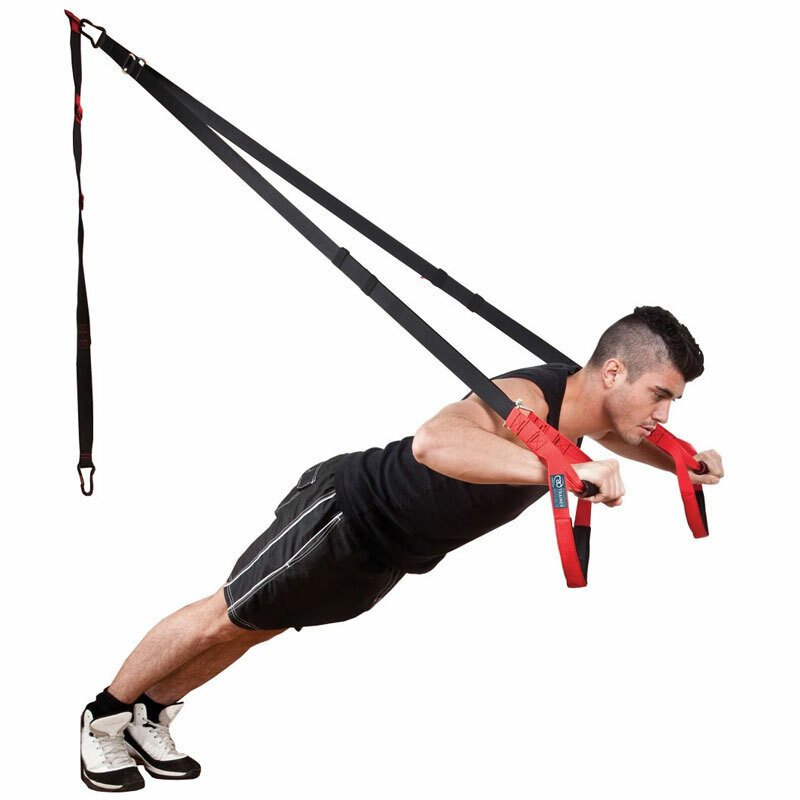 The Fitness Mad Pro Suspension Trainer is the perfect bodyweight workout tool. This portable, lightweight training system weighs a mere 1.2kg allowing the user to workout anywhere, anytime. Use your own body as resistance and strengthen arms and chest whilst also building muscle and burning unwanted fat. Suspension training increases flexibility and endurance and helps to develop and maintain a strong core. The Fitness Mad Pro Suspension Trainer has been independently load tested to over 1000lbs to ensure your safety and high performance. 5 out of 5 Excellent bit of kit! Ordered this bit of kit from Newitts, speedy delivery which was great. Was super pleased with the suspension trainer as are all of my PT Clients. Fantastic piece of kit at a fantastic price! !